Inviting 4 bedroom holiday home near Sarlat, Dordogne and Lot. A wonderful holiday home for the whole family featuring a garden with private pool, ideal for kids to play and for parents to relax under the French sun. Sleeps 8. 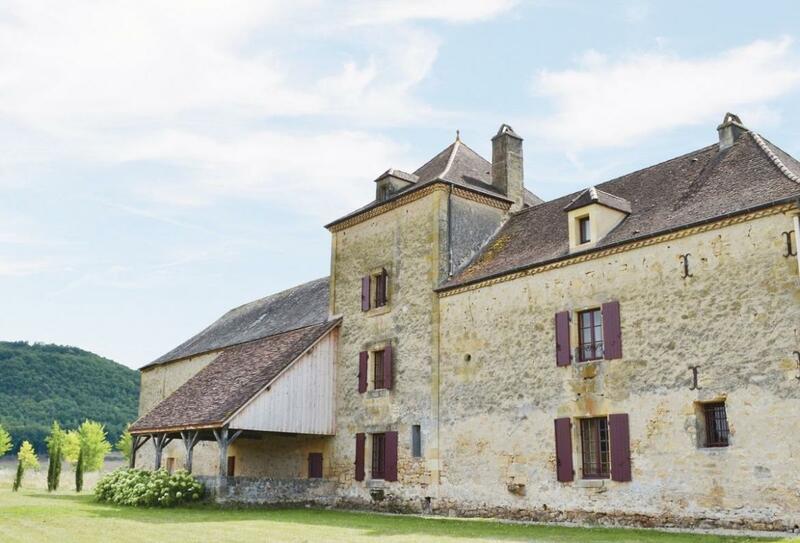 This magnificent 16th century house, with its private salt water swimming pool is set in six acres of private landscaped grounds within a short walk from the wide and gently flowing River Dordogne. This spacious house has been restored and refurbished to an exceptionally good standard. Great care has been taken to preserve original features. There is a magnificent working fireplace in the living room and all bedrooms are en-suite. The ancient town of Domme ’Acropolis of the Dordogne’ with its cobbled streets and towered gateways sits on a rocky crag overlooking this house that stands in a fertile river valley, scattered with farms, walnut groves and fields of maize and tobacco. Close to the medieval town of Sarlat with its colourful twice weekly market. The area can be easily explored by car, bicycle, on foot or by canoe. For the less energetic there are daily boat trips on the ancient ’gabare’. Location: 800m from river, 1km S of Vitrac (golf, canoe hire, beach), 3.5km W of Cenac (bars, restaurants, all facilities), 3.8km from shops, 5km W of Domme (historic town, restaurants, bars, shops, tennis), 8km S of Sarlat (all facilities, twice weekly markets).